Brass Funkeys have played at major festivals including Glastonbury, North Sea Jazz Festival, Bestival, Wilderness, The last ever Secret Garden Party and The London Jazz Festival as well as numerous London venues such as Hootenanny, The Brooklyn Bowl and Richmix. Last year the band had the privilege of supporting Dr John, The Hot 8 Brass Band and The Dirty Dozen on their UK tours and have also performed across Europe (Amsterdam, Mainz, Prague). 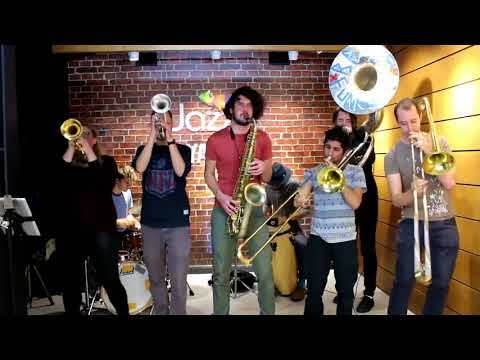 Tell us what you think of SUNDAY LIVE MUSIC SESSION: Brass Funkeys below..